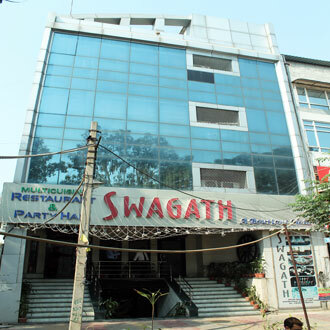 Hotel Swagath is centrally located in the heart of South Delhi at Malviya Nagar. It houses 19 air-conditioned rooms, and also has Swagat, a spacious conference room that has a capacity to accommodate 30 guests. An in-house multi-cuisine restaurant is also available, which serves delectable dishes. The hotel's proximity to the commercial centers of Nehru Place, Okhla, and other tourist attractions such as Lotus Temple and Qutab Minar has made it a favourable stopover.